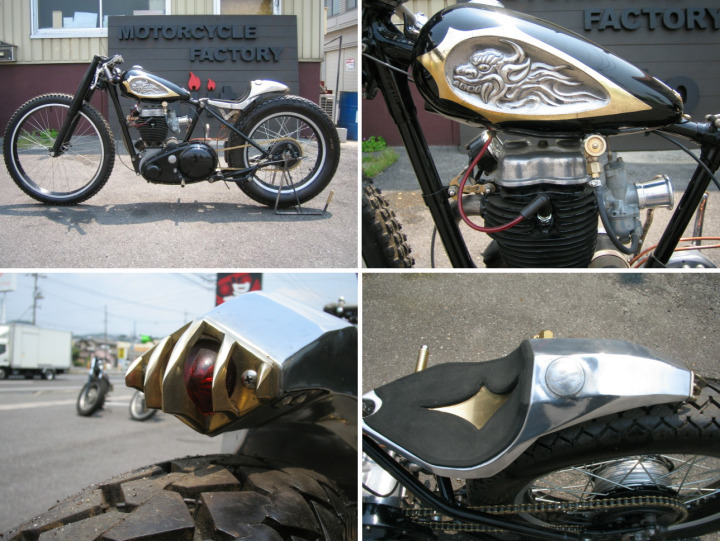 Discovered the Motorcycle Factory Ajito (their website needs some work) on a Spanish blog called Retro Custom Racer. Ajito is a custom shop in Japan that have made loads of cool sr400’s bobbers but it was this BSA C-11 named Racy King that really stood out. Everything on this bike looks hand made. The seat, brake light and Japanese dragon tank won’t be to everyone’s taste but you have to give credit where credit is due. Ajito has created something truly unique and we look forward to seeing more bikes from these guys in the future.